I have sold my small business for retirement . I have put in $500,000 as in specie contribution to my SMSF. Is there a special form that I am required to complete and forward to ATO. I am 68 years old and satisfy the work test. Re one of the paragraph above “ The transfer of the asset will be deemed to be a disposal for the member and any gain realised by the member may be subject to CGT, though there may be some concessions, particularly where the property was used in their own business or that of an associate. If self-employed or able to claim a tax deduction for contributions then some of the transfer can be considered as a Concessional Contribution.” Is that means it’s able to split between CC & NCC for an in-specie (Business real property) contribution for members? How about in-specie listed shares contributions, is able to split between CC & NCC for members? 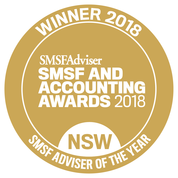 Your accountant or SMSF specialist should be able to give you a specific response but in general you can split the contribution of any in-specie asset across cc and NCC of various members except where you are Seeking small business cgt relief for s specific member or stamp duty relief for current owners. Please seek personal advice before proceeding. Hi Liam, I’ve got a question of if ATO allows to split the NCC? SIS Regulation 7.04(3) Prohibits the fund accepting any fund-capped contributions (single member contribution) in a financial year in respect of a member that exceed the members’ non-concessional contribution cap – is this only applicable for the single member fund? If two members fund as the example you’ve given above, it’s allowed to split the in-specie NCC between the 2 members to avoid the excessed cap issue? But why ATO says only CC can be split with spouse, but not NCC? The rule just stops the fund accepting an amount above the NCC cap for any one member. You can split an in-specie asset contribution between 2 or more members to avoid breaching the Caps. The super splitting rules with CC is where you are using one persons caps to get the money in and then transferring to their spouse usually to improve the balance of a lower balance member, this was specifically designed to help women returning to work or out if the workforce to catch up with their balance. Often you see men with $500k in super and wife with $50k as she has been minding the family and the super splitting rules allow her to maintain some momentum in the growth of her balance. I advise all female clients to ensue their husbands are super splitting to show so,e good faith for them taking time out to raise a family. 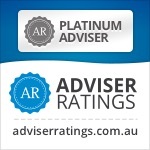 There is a situation where a property needs to be removed from a SMSF in-specie. Have both pension as well as accumulation accounts. How can this be achieved? Is it mandatory to physically transfer the cash or can the property be transfer as just a pension drawdown? Viral, As always seek personal advice but in general a property can be transferred from the fund as a lump sum in-specie pension commutation (Lump sum withdrawal). It cannot be a normal pension payment as that must be on cash. Can you transfer a parcel of shares out of the SMSF In Specie. I may need this with the new pension limits of $1.6M in pension mode. Yes I have a further question about the in-specie contribution above. Does the contribution have to reflect in the accounts the exact % ownership of the tranferors. Case 1: Mum and Dad owned the factory Case 2: only Mum was the owner of the factory Both Mum and Dad are company directors of the business. Yes to,get the stamp duty concession. Then property must be transferred for the sole benefit of the transferring owner. Must be written in to the deed. Seek, legal advice for your state.